Click on any of the red squares to view that location. Map adapted from Pierre Pichard’s. Inventory of Monuments at Pagan, vol. 7 . A reconstruction of the original, destroyed in the 1975 earthquake. Bagan’s 2nd tallest temple, heavily restored after the 1975 earthquake. A large stupa of a type commonly seen in southern & southeast Asia. The last great monument completed at Bagan before the 1287 Mongol invasion.. The only remaining Hindu temple in Bagan. A medium size early Pyu type brick masonry stupa. A fairly large temple near the Bagan Archaeological Museum. A prototype of many later stupas built throughout the land. Bagan today, in reality, is little more than an archaeological site—far less known than the Angkor complex in Cambodia, in part because of the restrictions long imposed on tourists by Myanmar’s military government. Yet it is every bit the equal of the Khmer temple-region for its historic and archaeological significance. This short essay provides a brief introduction to the historic regions and its architecture. Succeeding sections on this site feature a precious few of its major temples and stupas. 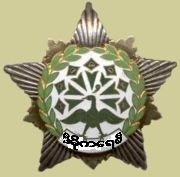 ‘Bagan’, incidentally, is the closest approximation to the Burmese usage and is now the officially preferred transliteration. During their period of colonial dominance the British spelled it ‘Pagan,’ and that name is still commonly used. 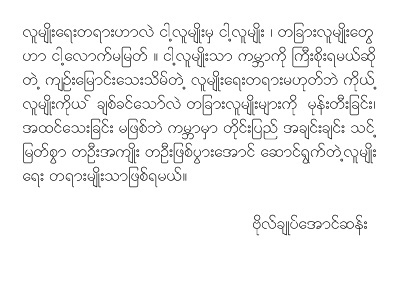 There is, however, no consistent system of transliteration of the Myanmar languages into English. While ‘Bagan’ is now preferred, both spellings are still used even, sometimes, on English boards at the same temple site! The Bagan Archaeological Zone is the formal name used to designate the historic region of the ancient Kingdom of Bagan. It has been suggested that perhaps over 13,000 temples, pagodas and other religious structures originally were built in this 26 sq. mile (42 sq. k.) area during the height of the kingdom between the 11th and 13th centuries. The region clearly stands with Angkor and Borobudur among the most significant archeological sites of Southeast Asia and indeed of the world. It has recently (2002) been nominated for World Heritage Site status. 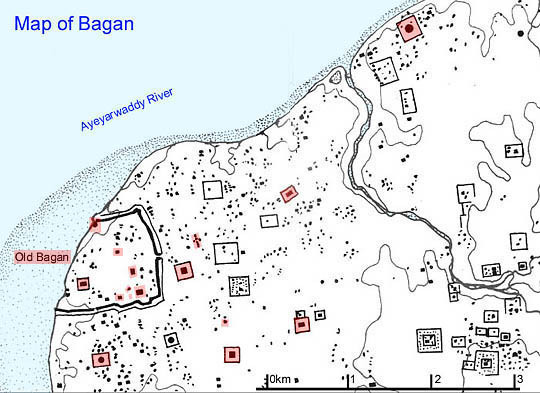 Although there perhaps have been settlers in this area on the left bank of the Ayeyarwady (Irrawaddy) River since the second century AD, the original walls of the first permanent settlement probably date from beginnings of the kingdom in the mid-ninth century AD. It was not, however, until the mid-eleventh century that Bagan, under King Anawrahta (r. 1044-1077), became united Bagan and entered its golden age. In the aftermath of his conquest of the Mons in 1057, Mon culture and especially its Theravada form of Buddhism became a dominating influence. The king became a staunch advocate of Theravada ideas and practices and embarked on a major construction program in support of the new religion. 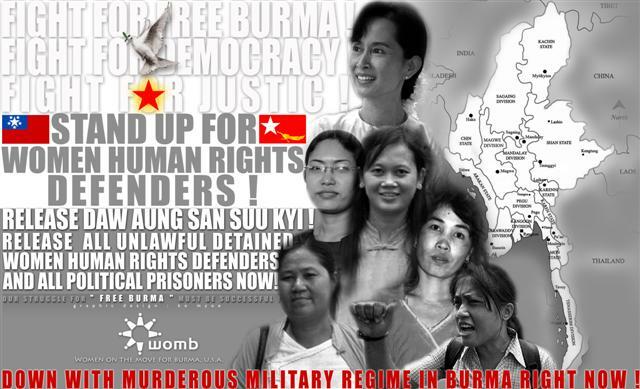 The thirty thousand prisoners from his war with the Mon included not only the royal family, but also scholars, artisans, master builders and religious leaders; all helped lay the foundations of this new and rich society. 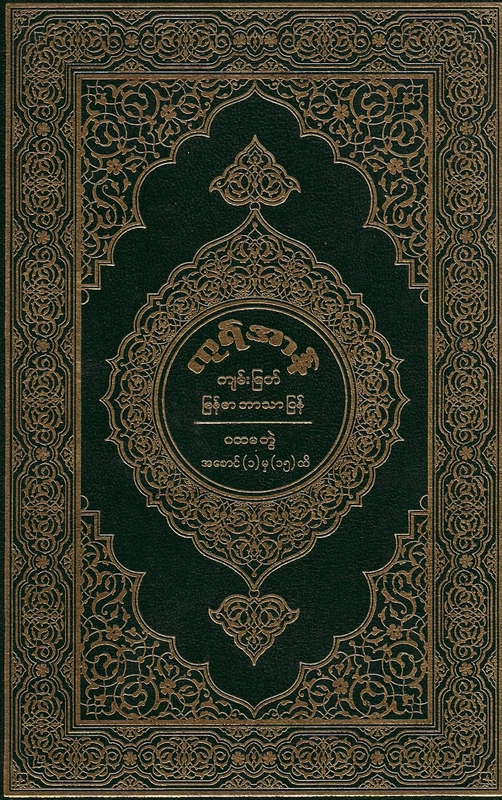 Among the prized trophies brought to Bagan at this time were 32 copies of the Tiitaka, the Theravada scriptures. From the time of Anawrahta until the conquest by Kublai Khan’s forces in 1287, the area was the vibrant center of a religious building frenzy. Kyanzittha (r. 1084-1113), Anawrahta’s second successor, was also deeply religious and continued without interruption the pace of Buddhist construction. During the 12th century Bagan became known as the land of four million pagodas. Although an obvious exaggeration, it reflects both the wealth and religious foundations of the new kingdom. A highly developed system of irrigation canals for a while supported a thriving rice culture. The massive construction projects, however, may have also eventually contributed to the kingdom’s demise. 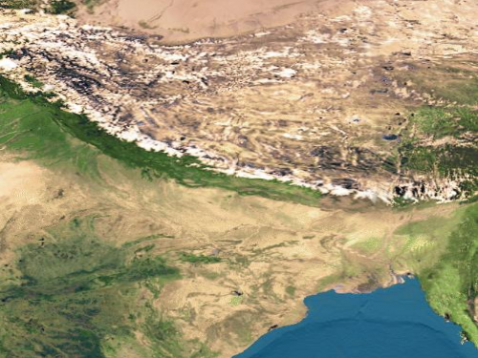 The region generally is parched with limited rainfall except at certain times. Palaces, many monasteries and private dwellings were built from the more perishable wood. But since virtually all temples and stupas were made of fired bricks, the demands on local vegetation to fire the kilns was enormous. Yet this interpretation is shrouded in controversy, since few kilns have been uncovered and it is clear that many bricks were made elsewhere and brought to Bagan via the river. But the lavish projects doubtless did contribute to some denuding of the land, to erosion and to its economic decline. The last ruler, King Narathihapati (r. 1255-1287), was also a builder and was responsible for the construction of Bagan’s last major religious project, the Mingala-zeidi. When the Mongol armies came into the area, however, he refused to pay tribute and offered serious resistance. Reportedly he tore down over 6,000 temples and pagodas to reinforce the city walls. This destruction of an important part of its heritage, however, was to no avail. By 1287 Narathihapati (also known in Bagan history as Tayok-pye-min: ‘the King who ran away from the Chinese’) had indeed run away. He was poisoned by his son, the ruler of Pyay (Prome) a kingdom south of Bagan on the Ayeyarwady. The invading armies of Kublai Khan finally completed Bagan’s demise. The Mongol conquest was complete, although perhaps far more destruction had come from the futile defensive measures than from the Mongol invasion itself. The capital never recovered its former prominence, though ample evidence of its greatness remains on the Bagan plain. The timbered buildings, of course, have long disappeared, and perhaps a third of the original city has been swept away by the floods of the Ayeyarwady. Yet a recent survey indicated that there are 2,217 identifiable monuments plus almost the same number of brick and earthen mounds that cannot be identified. Virtually all of the surviving structures are made of brick, although a few are sandstone. Two major historic types of architectural structures are found in the Bagan Archaeological Zone. The pagoda, or stupa (in Burmese it is called a zeidi or zedi) is one of the primary Buddhist monuments. The term Paya is often also used in English interchangeably with pagoda. Originally perhaps a cairn, it became a funerary monument and then acquired cosmic symbolism of Buddhahood containing Buddha associated relics. Many zedis also were built to honor a notable person, or even bring lasting remembrance to an important family. The zedi is a bell-shaped (and often solid) brick structure set on a square or octagonal base; it usually rises to a gently tapering peak gilded metal and jeweled finial topped with a sacred parasol-shaped decoration (hti). Although there is fine brickwork, the stupas often were covered in stucco and adorned with fine carvings. In addition to the numerous free-standing stupas, there are a variety of stupa forms on the corners of most temples. As funds permitted, the original stupas often were enclosed in larger and more elaborate constructs. Examples of the pagoda or Paya form on this website include the Bupaya, Shwezigon and the Mahabodhi, Nag-kywe-na-daung. In-hpaya, and Minochantha. The other major surviving architectural form at Bagan is the temple, or pahto, which can also take on a variety of forms. The temples (gu ) were inspired by the rock hewn caves of Buddhist India. They were larger multi-storied buildings that one could enter. They were places of worships that included richly frescoed corridors with sacred shrines and images that could be worshipped. Unlike the corbelled arches at Angkor, Bagan temples widely employed both barrel vaults and pointed arches. The temples were often built around a zedi and included a variety of other buildings such as living quarters for monks and ordination and assembly halls. The pahto is often a massively built square or oblong structure with outer terraces representing Mount Meru, the symbolic home of the gods, and surrounded by a thick wall to separate its realm of the sacred from the outside world. 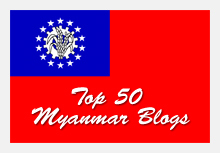 Examples of the pahto-style on this website include those of Ananda, Dhammayangyi, Gawdawpalin, Htilominlo. Shwegugyi, Sulamani and Thatbyinnyu. There are over 2200 monuments still extant on the Bagan plain, and there remain an equal number of ruins—mere piles of bricks or other evidences of past structures. The overwhelming “Inventory of Monuments at Pagan” by Pierre Pichard surveyed 2834 monuments. Earthquakes, floods and invasions destroyed much—especially the upper reaches of the temples and stupas But many of the existing monuments have been so remodeled, up-dated, repainted and ‘beautified’ over the years that much of their original character has been lost. Both ‘insiders’ and ‘outsiders’ have also long been involved in the systematic looting of the artifacts and treasures. Western adventurers and archeologists in the latter part of the 19th century removed much statuary, frescoes and other antiquities to museums for public display, though much is ‘in storage’ or was destroyed during Europe’s 20th century wars. Even though the Myanmar government has banned the export of antiquities, important elements continue to disappear into the hands of wealthy private collectors—a tragic fate that has befallen numerous historic architectural sites. Its nomination for World Heritage Site status might prove both a blessing and a curse. More visitors might bring needed income to the area, but it also could increase the commercialization, and further contribute to the destruction of its heritage. Text by Professor Robert D. Fiala of Concordia University, Nebraska, USA.